What’s goin on guys, Jerry Neutron here back with a brand new video. Recently I got some stuff in from Lenovo, they sent me their new headset, which we’re not gonna take a look at today and also their new optical gaming mouse. Cleverly named the Lenovo Y Gaming Optical mouse, so we’re gonna take a look at it and see if it’s a solid mouse or not. So let’s start with the shape, the first thing you’ll probably notice is the shape VERY similar to the #Razer DeathAdder. When you get down to the small details you’ll notice it’s not exactly the same but the general shape is there. 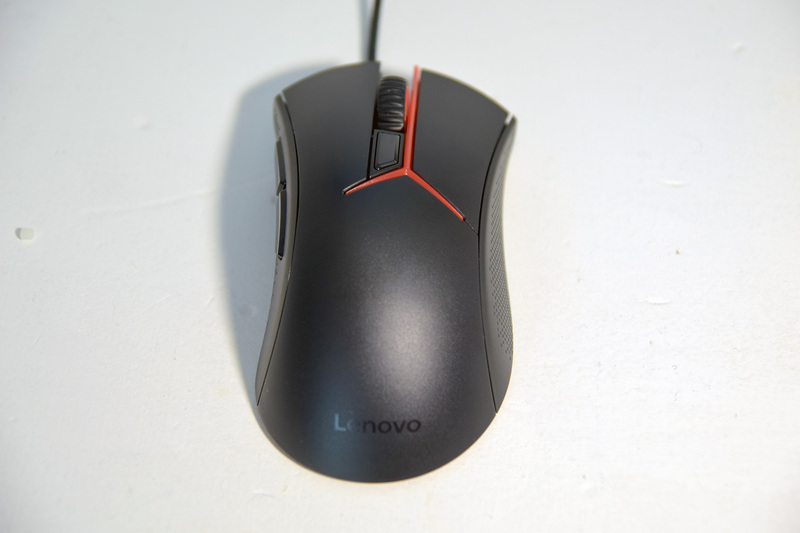 Which is not a bad thing for the Lenovo mouse as this is one of the most ergonomic shapes available for a gaming mouse. 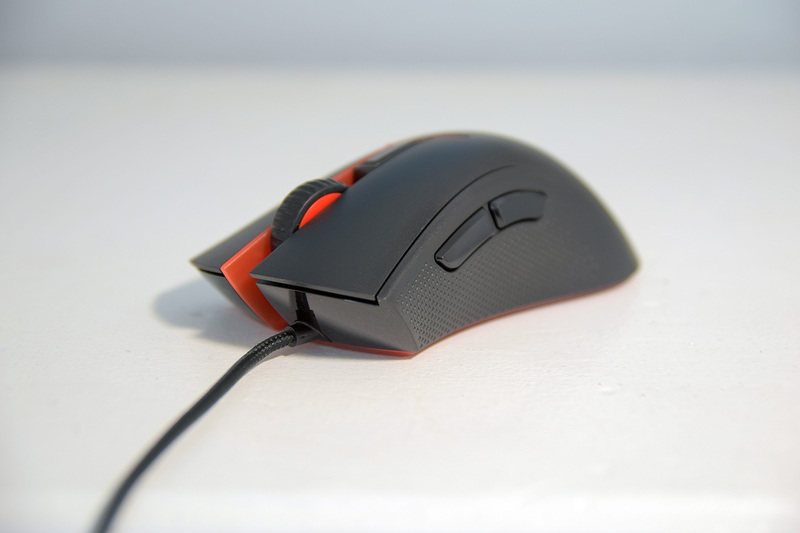 Taking a look from the side you’ll notice it’s got a pretty tall back, the maximum height is towards the center and not the rear like most palm grip mice and if you rest your palm directly on the mouse more than likely your fingers are going to hang over the edge. So unless you have small hands you’ll probably be holding this with a claw grip or fingertip grip. Build quality-wise, it’s really nothing to write home about. It’s hard plastic all the way through, you do have these textured areas on both sides where you would grip the mouse although I’m not sure how functional they actually are since it’s not rubberized in those areas like it probably should be. I’m also not a fan of the red plastic that #Lenovo is using on their peripherals, it looks cheap, it feels cheap, it reminds me of a kids toy and I wouldn’t mind if they ditched it altogether. One good thing that comes from having a barebones mouse like this though is it has the potential to be pretty lightweight. I weighed this one and it came in at about 93.5g which isn’t the lightest mouse on the market but definitely within the 90 to 100g range that I prefer. In fact coming from the Rival 700 to this was like a night and day difference and I can definitely say that I prefer the weight of the Lenovo mouse. Now let’s talk about the buttons. The left and right buttons are rated at 20 million clicks, I’m pretty sure they’re using Omron switches in this mouse which has become the standard these days. There’s also a DPI adjustment button in the middle of the mouse that will allow you to switch between 3 preset sensitivities. The scroll wheel on this #mouse is a little odd, it sits up higher that most which means you have to raise your finger higher to scroll and that feels a little strange. Also the steps are not very pronounced, it feels somewhere in between a stepped scroll wheel and a free scrolling one so all in all, not very good. The side buttons feel solid although the placement is not my favorite. My thumb sits almost directly in the middle of the two buttons which means I typically have to adjust my hand in someway to press one or the other. As for tracking, this mouse is using an Avago 3050 which is an entry level gaming grade optical sensor. In testing it seemed to track well, I didn’t notice any prediction or jitter or acceleration when I tested at 750 and 1500dpi. I will say though that in terms of general feel, it seems like both the 3310 and 3360 feel just a little more fluid and I wish Lenovo would have gone with one of those sensors instead. Within the software you have the ability to re-assign one of the 5 buttons or apply a macro. Under the performance tab you can select a polling rate up to 1000hz or one of the 3 preset DPI values. No lift off distance adjustment in this software although by default it’s set pretty low, you can fit about 1 CD underneath the mouse before it stops tracking. Under the backlit tab oddly enough is where you will find your DPI personalization. Not sure what relevance it has to backlighting but it’s there for whatever reason. 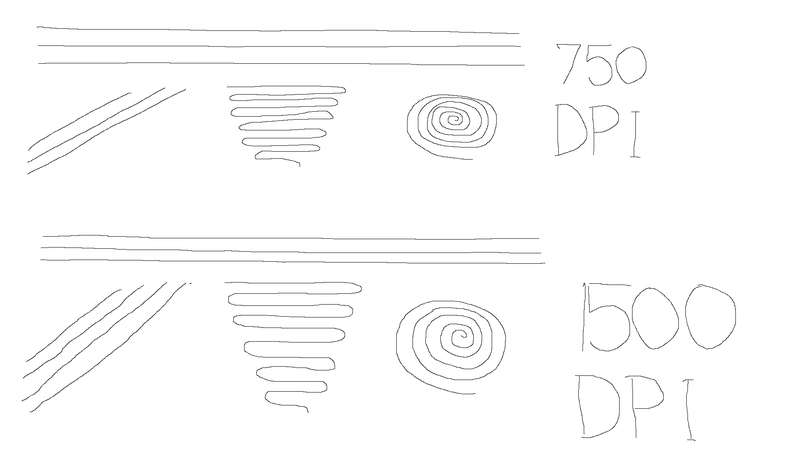 You can adjust the DPI beyond the native 2000 max and go all the way to 4000 in steps of 250. I normally run 800 for gaming and 1300 for everything else so 750 and 1250 are close enough but it would’ve been nice to be able to adjust the DPI in steps of 100. Still, the software is not bad overall but it could use a couple of changes. Alright so conclusion time. This is a decent mouse from Lenovo, certainly better than their last attempt in every way. However, it does nothing to stand out from the crowd or at least match what the top players in the peripheral market are putting out and because of that it makes this a hard sale. If Lenovo wants to make an impact in the already saturated peripheral market they’re gonna need to put a little bit more money into their lineup and focus on releasing top quality products. So that’s about it guys! Like this video if you enjoyed this type of content! Subscribe for more tech videos and until next time…see ya!